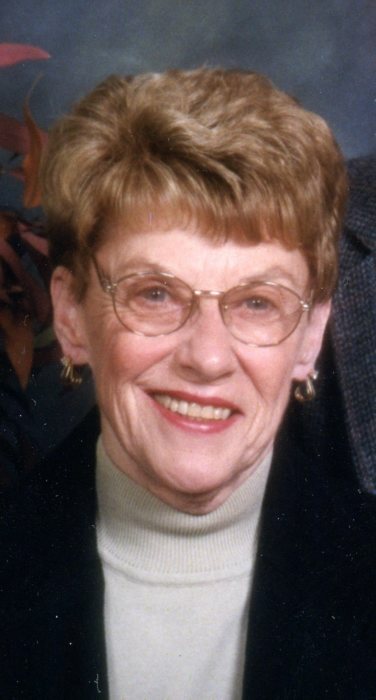 Elizabeth C. “Betty” Bugliosi, 80, lifelong Hibbing resident died Monday February 4, 2019 in her home. She was born in Hibbing to Thomas and Delia (McHardy) Godfrey on October 8, 1938. She graduated from Hibbing High School and attended Hibbing Community College, where she was introduced to the love of her life, Richard Bugliosi. They were married on August 16, 1958, at the Blessed Sacrament Church in Hibbing. After a brief hiatus in Park River, ND, they settled in Hibbing, where they made their home and raised their family. Nothing made Betty happier than being a wife, mother and homemaker. When her grandchildren began to arrive, she would say, “Being a Gramma is even better than being a mother.” She was so proud of her children and grandchildren. Betty was also very proud of her Irish heritage, and though her Italian husband would tease her about the Italians being better at just about everything, especially food, he always blessed her with green tipped carnations on St. Patrick’s and Columbus Day! She will be most remembered for her legendary Christmas Eve celebrations…complete with wonderful food, music, laughter and even a visit from Santa. It remains fondly in the hearts of all the immediate and extended families. Betty loved her friends from the Thursday morning “old peoples’ coffee” group at the Memorial Building and her many friends from her exercise group. She was a lifelong member of the Blessed Sacrament Church and for many years participated in the church circles and other church functions. Betty is survived by her sons, Tom (Susie) of Pewaukee, Wis., Jim (Marcy) of Hibbing, and John (Iris) of Croton-On-Hudson, New York, grandchildren, Sara, Andrew, and Nicholas Bugliosi, Gina (Mattia) Zammarchi and Marcus Bugliosi, Nicole and Christopher Bugliosi, sister- in-law Joanne Bugliosi, lifelong friend, Ardell Allison, and numerous nieces and nephews. She was preceded in death by her husband Richard in 2007, her parents, a brother Timothy and a sister Barbara. Funeral services will be held at 11:00 am., Saturday February 9, 2019 in the Blessed Sacrament Catholic Church with the Rev. Fr. Gabriel Waweru celebrating the Mass of Christian Burial. Visitation will be one hour before the Mass. Burial will be in Maple Hill Cemetery, Hibbing. Arrangements are with the Dougherty Funeral Home. The family would like to give a special thanks to Fairview Range Hospital, Essentia Oncology Dept. and Fairview Hospice for their excellent care of Betty during her illness.